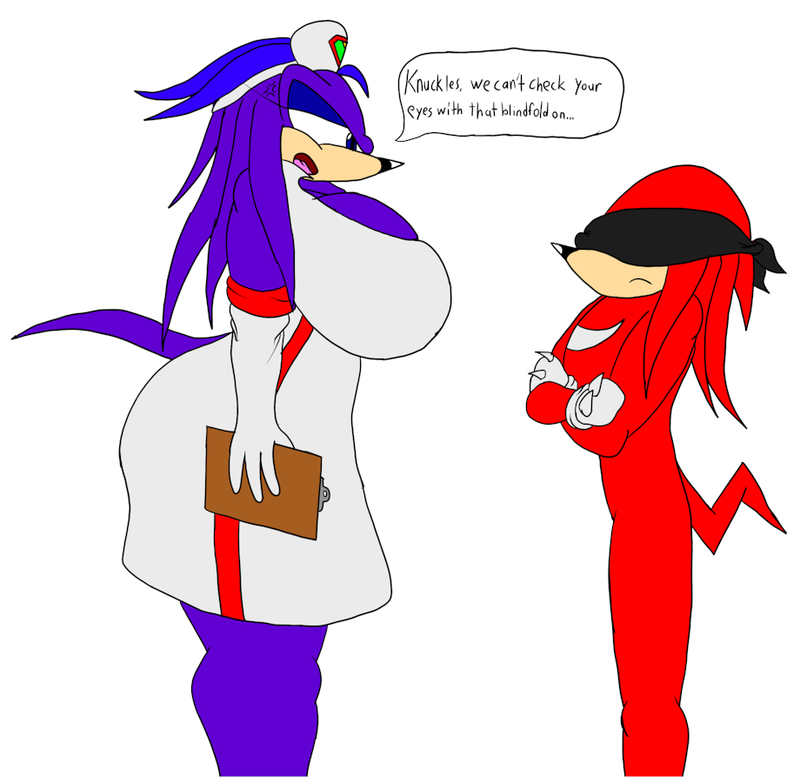 Consider this an introduction to the buxom nurse in charge of keeping track of Knuckles health as ordained by the Council, Deox-Zi (Pronounced like Deoxide because I'm good with names XD). Drawing on some oft forgotten lore, Knuckles is very bad around girls, and if you've gotten an image to maintain, getting really shy and fidgety isn't going to help, so whenever things like this come up Knuckles is prepared! Shame today was Eye Examination day.